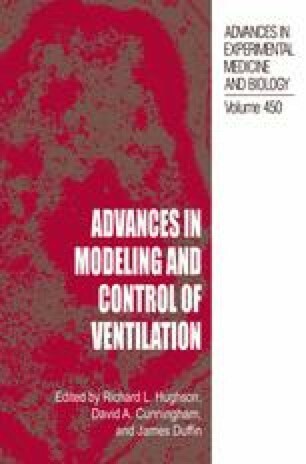 Acclimatisation to altitude involves an increase in the ventilatory sensitivity to hypoxia (AHVR). Since low dose dopamine decreases AHVR and domperidone increases the same (1), then the increase in AHVR at altitude may be generated by a decrease in peripheral dopaminergic activity. There is evidence to support this in cats (2), but not so far in humans. We hypothesised that, if dopamine activity is decreased by prolonged hypoxia, then the effect of the blockade would also be decreased. In order to determine whether there are any changes in the sensitivity to dopamine, the study also compares the inhibitory effects on AHVR of low dose dopamine infusions with and without prior sustained hypoxia.